The World Bank (WB) will sponsor 500,000 USD for Can Tho city to carry out the “Green-clean-beauty programme”, part of a project upgrading the Mekong Delta urban region. The information was released by Tran Minh Phat, Deputy Director of Can Tho city’s Official Development Assistance (ODA) Project Management Board, in a working session with Can Tho People’s Committee and relevant departments on the programme. According to Mr. Phat, the programme is part of component 4 of the project on upgrading the Mekong Delta urban area that is being implemented in four districts of Can Tho city, namely O Mon, Ninh Kieu, Cai Rang and Binh Thuy. The programme, which has a budget from 300,000 to 500,000 USD, aims to establish an environment that improves the health and lives of locals. Selected initiatives will receive sponsorship ranging from 20 million VND (897 USD) and 200 million VND (9,000 USD). 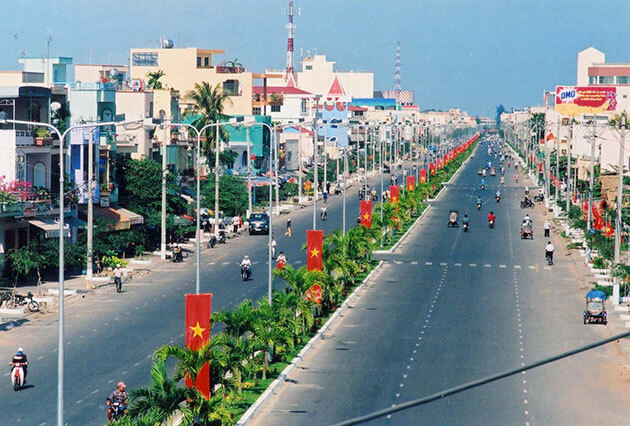 Vice Chairman of the Can Tho People’s Committee Vo Thi Hong Anh assigned the Department of Construction to work with the city’s ODA Project Management Board to disseminate information about the programme in the community. She asked relevant units to complete the selection and start implementing initiatives by June 2017. According to Ms. Anh, that programme is expected to improve the health and living conditions of local people./.